No channels found. Is this game on TV in United States? 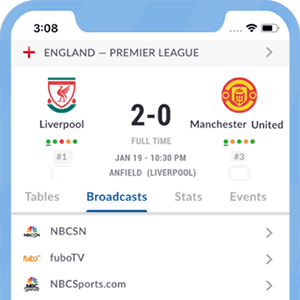 No broadcasts found in your territory for this match. The TV, live streaming and radio listings are legal broadcasts of Udinese - Internazionale in United States. Authentication or subscription with a TV, ISP or streaming provider may be required. Please note that not all channels are available to watch online. If available online, we will link to the official stream provider above before kick-off.